We ordered the filet sliders, cheeseburger sliders, crab cake sliders, a small salmon pizza with capers. The presentation of each of the dishes was completely blahh. I love to be wowed, you will not be wowed here. 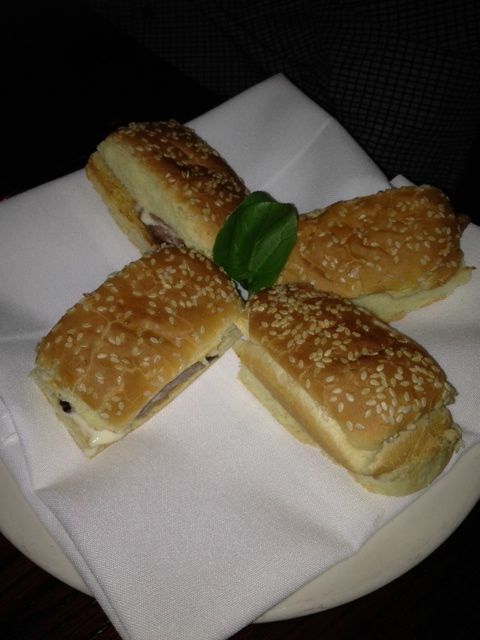 The Filet sliders were everything they were promised. The buns, although looking plain, were incredibly soft and not so much bun that I took the bun off. I don’t eat a lot of bread because it fills me up too fast, so I often take off part of the bun, but not this one. It was perfect. The cheeseburger sliders were fine. Nothing to write home about. 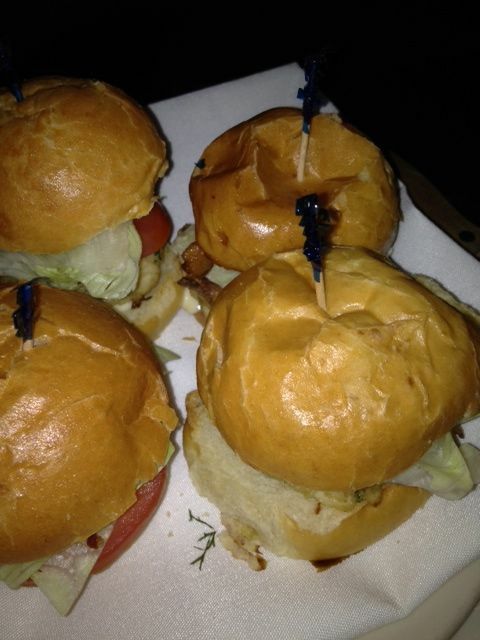 The crab cake sliders were very fishy. As a matter of fact we did not eat all of them. I didn’t even finish the one I got and no one went back to finish them off. 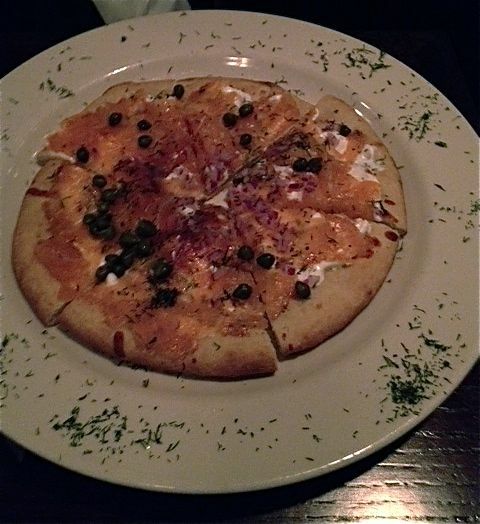 The salmon pizza was good, but again, no one loved it and I think we had some left overs of it as well. All that to say, I think the 4 of us agreed we would all go back for a beer and filet sliders. Those filet sliders were that good!! Atmosphere is somewhat stuffy with the white table clothes. The bar is not so much that way, but there are very few seats in the bar. Pricing was pretty good for happy hour and very well priced considering we were at Morton’s where a steak will set you back at least $30-$40. They had good drink options. They had a good selection of beers on tap, they also had a good wine selection and we also tried the cocktails while we were there. Service was pretty good. The bar is so small that if you need anything you just wave at your server who is never more than 10 feet away.